In-ground trampolines are safer than normal trampolines because they're flush-to-the-ground not raised above the ground accessed by a ladder. 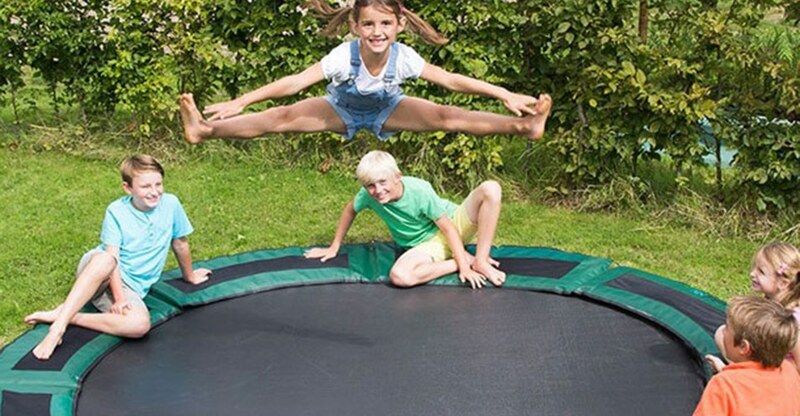 Parents have peace of mind when they let their kids loose on an in-ground trampoline. There's no worrying about young children falling off the ladder or remembering to zip themselves in. Our In-Ground Trampoline kits include everything you need to install into your own backyard. We supply super simple step by step instructions and are always on the end of the phone if you have a question. We've designed our trampoline and frame to be in the ground for a long time. With a combination of a heavy duty galvanised steel frame, longer commercial grade springs and Polypropylene Jump Mat you can be sure you're getting a quality product that will last for years. Above ground trampolines can be a bit of an eye-sore, especially in smaller backyards. 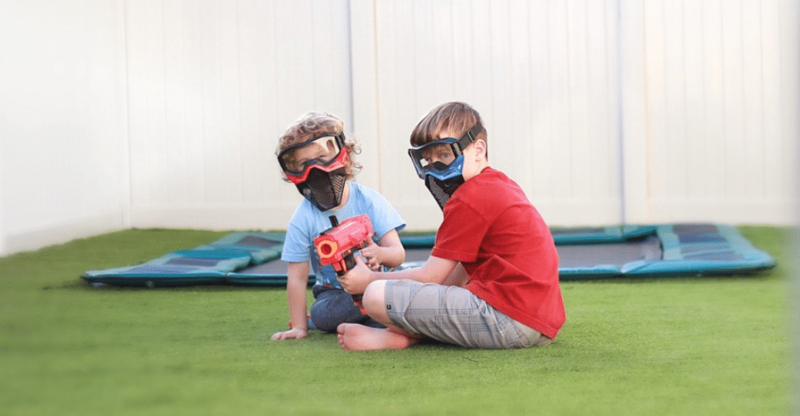 Our flush to ground trampolines are designed to blend in with your backyard design and come with contemporary grey, or grass green pad options to blend in your space. Easy entry and exit for even the youngest children. Kids have the freedom to run on and off the trampoline as they like without having to climb up and down ladders. This is especially great for younger children and means parents don't have to supervise or help younger children on and off their trampoline. 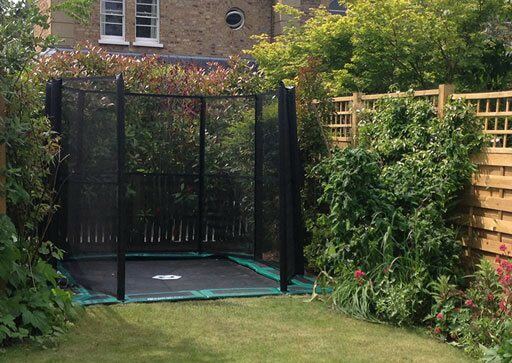 We offer circular and rectangular trampolines in a range of sizes to suit all backyards. From our smallest 8' round to our substantial 14' x 10' rectangular we're sure to have a trampoline suitable for your family. Young children sometimes get frightened being zipped inside a net away from their mom or dad. An in-ground allows parents and children to interact more - mom and dad can stay in close contact at all times. We are the only company to offer full, half and quarter safety net options. 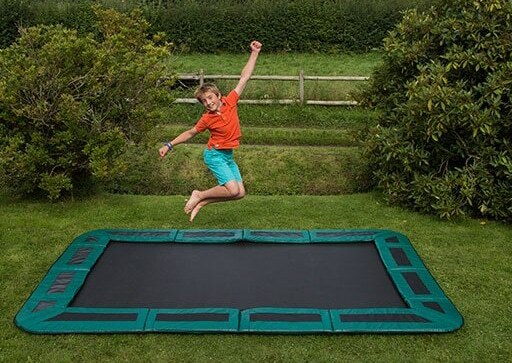 The Capital In-Ground Trampoline kit has special vented pads, which allow the air to escape up between the springs and literally through the safety padding. This allows air to pass through the actual jump-mat itself therefore removing the issue of resistance against trapped air, giving a quieter and better bounce. 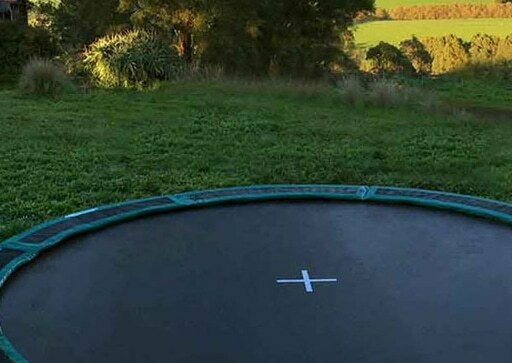 Why choose a Capital In-ground Trampoline? 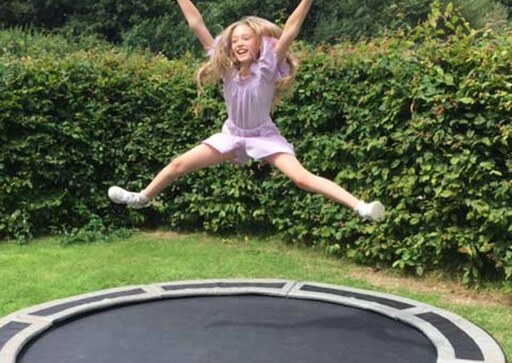 Capital Play has been designing and selling high spec trampolines since 2000. Everything we do is based around safe play and we have invested in making some of the safest trampolines on the market. As with all toys, parental guidance and common sense applies. Capital Play designed and manufactured the very first purpose built In-Ground Trampoline in the UK. 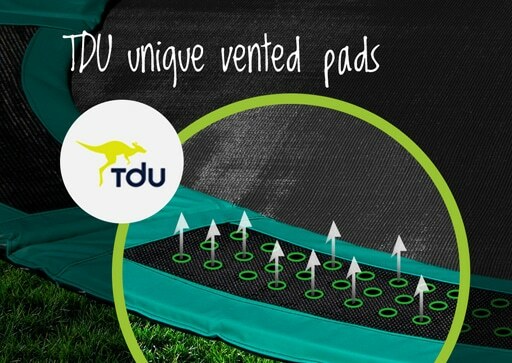 The Trampolines Down Under (TDU) patented vented pad system ensures we're the best selling in-ground trampoline manufacturer worldwide. 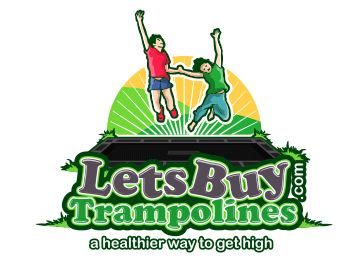 © 2018 LetsBuyTrampolines. All Rights Reserved.